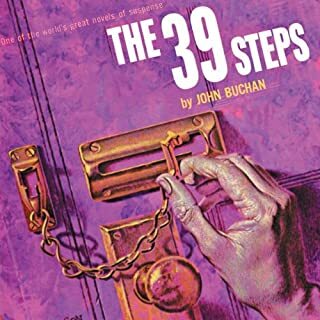 Perhaps more than any other book The Thirty-Nine Steps has set the pattern for the story of the chase for a wanted man. And, of the many writers who have attempted this kind of thing since Buchan, only a very few, like Graham Greene, have managed to sustain the tension in the same way. The story's extended chase scene inspired Alfred Hitchcock's movie of the same name. In the dark winter of 1917, as World War I was deadlocked, Britain knew that Europe could be saved only if the United States joined the war. But President Wilson remained unshakable in his neutrality. Then, with a single stroke, the tool to propel America into the war came into a quiet British office. One of countless messages intercepted by the crack team of British decoders, the Zimmermann telegram was a top-secret message from Berlin inviting Mexico to join Japan in an invasion of the United States. Mexico would recover her lost American territories while keeping the U.S. occupied on her side of the Atlantic. 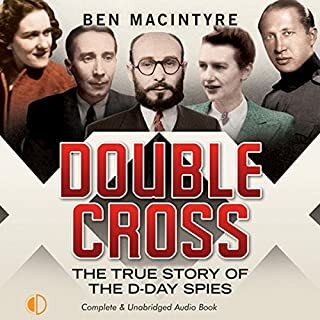 How Britain managed to inform America of Germany's plan without revealing that the German codes had been broken makes for an incredible, true story of espionage, intrigue, and international politics, as only Barbara W. Tuchman could tell it. 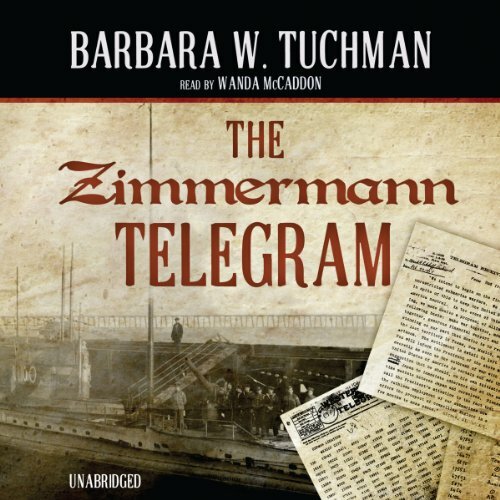 ©1958 Barbara W. Tuchman (P)2010 Blackstone Audio, Inc.
Before I found this book, I'd never heard of the Zimmerman telegram. Being Canadian, we never went into great detail on why the Americans entered the First World War - we were involved once Britain was involved. 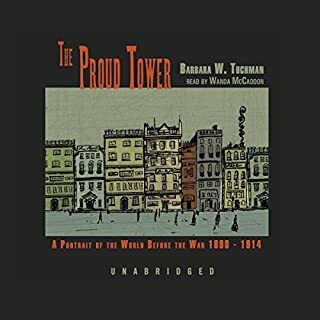 However, once I listened to other Barbara W. Tuchman books (The Proud Tower and The Guns of August), I knew I had to listen to this one too, and it didn't disappoint me. 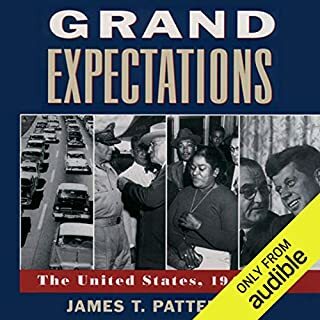 Although this is not a particularly long audiobook, especially in the realm of nonfiction, that doesn't mean it isn't detailed. 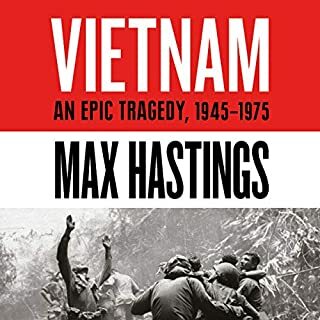 In fact, it gives practically a day-by-day account of some of the most critical periods and plenty of background to understand who the players are and what their motivations were. 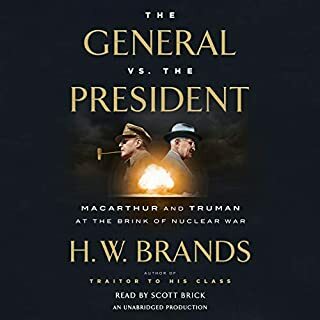 It is fascinating to listen to and it gives you a really good sense of the state of the world in early 1917 - the Germans moving to unrestricted submarine warfare, the French running out of energy, the British running out of money, the Mexicans caught in a series of coups, the Americans failing to understand why no one would agree to a negotiated peace. All of the backroom negotiations, intelligence operations, and diplomatic unease made for a really engaging story. And although you know from the start that the Americans will get involved, somehow there is still a sense of suspense in the telling where you wonder whether Mexico will attack Texas and the Germans will win in Europe after all. The narration in this book by Wanda McCaddon was excellent. She can pronounce all of the foreign-language words (primarily German and Spanish) well, one of my personal irks with a lot of audiobook narrators, and in general reads at a good pace with great voice changes to represent individual speakers. 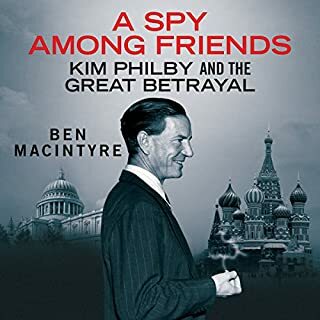 Filled with information from diaries and official records, this book makes you feel like you know the people involved well and that you understand why they are making the decisions they are. For such a small incident, really, in the overall view of the war, it makes for an interesting story with far-reaching consequences that affect how the world is today. 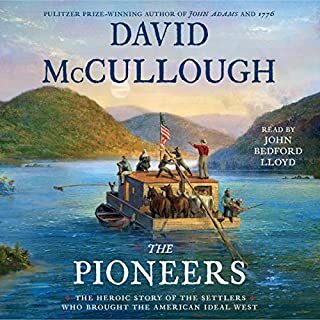 Although I don't have a huge interest in American history, this was so much more than just a story about how they came into the First World War. It's about Germany, Britain, Mexico just as much as it is about the US, and Tuchman does a great job of showing the events from all those perspectives. I would highly recommend this book to anyone interested in WWI history, Woodrow Wilson, and/or stories of diplomatic intrigue. I first heard about the Zimmerman Telegram a long time ago when in High School taking a U.S. History class. The telegram was mentioned as the reason the U.S. entered World War I, but we were also told that there was a common view that the telegram was actually a British hoax designed to draw the U.S. into the war. I remember thinking that I wanted to know more about what happened and the validity of the telegram. Years later, when I started to actually read history for pleasure, I found that World War II consumed most of my interest in twentieth century history and I never actually got around to reading anything about the telegram. Thus, when I saw Barbara Tuchman's book on sale on Audible, I bought it thinking that finally I would find out what it was all about. I was not expecting too much, but was very pleasantly surprised. Most of this book is concerned with the events leading up to the sending of the Zimmerman Telegram and reveals a part of U.S. history that I knew very little about. The tensions between Mexico and the United States prior to World War I are reasonably well known (for example, General Pershing's assignment to track down Pancho Villa) although the details seem to have been cast into the shadows by the U. S. efforts to first keep out of World War I and then by its actions as a participant. This prelude to U.S. entry is so interesting that I find it surprising that it was not covered in detail in the history classes I took in High School or College. 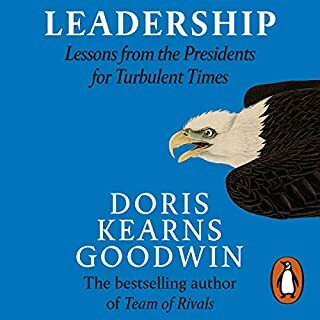 I have read several of Ms. Tuchman's books (The Proud Tower, A Distant Mirror, The Guns of August, Stillwell and the American Experience in China, The March of Folly) but until I read this book I never sensed any humor or sense of irony in her writing. While the events leading up to the sending of the Zimmerman Telegram were serious and involved Germany's efforts to get the United States involved in enough trouble to keep it from arming the Allies, a description of those events and the Wilson Administration's reactions to them sound more like a script from a Max Sennet comedy than the actions of a deliberative and serious government. Those who think highly of the Woodrow Wilson’s handling of domestic and international affairs might find this book at odds with that view. Ms. McCaddon’s reading of this book is first class. 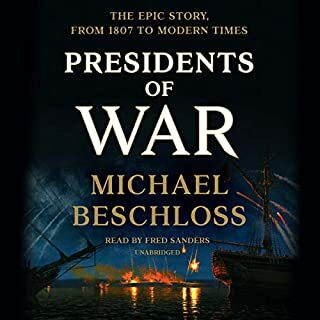 Her narration fairly bristles with Ms. Tuchman’s sense of the absurd and the events are so interesting as to leave one wondering why much of this was not presented as a basic part of U. S. history. This is doubly so because it is clear that many of the views described prior to the release of the Zimmerman Telegram are representative of the American view of Japan during the first half of the twentieth century and make it easier to understand the U.S. reaction to Japan’s attack on Pearl Harbor 25 years later. I recommend this book without hesitation to anyone who has any interest in the events leading up to the start of U.S. participation in World War I or, for that matter, to anyone with an interest in U.S. – Mexican or U.S.-Japanese relations in the twentieth century. I listened to this book because I have kind of an interest in cryptography and its historical impact. The Zimmerman Telegram is ostensibly about the famous telegram that was the final straw that brought America into the first World War, and how the British decoded it and then made use of it. But that turns out to be only a relatively minor part of the story. 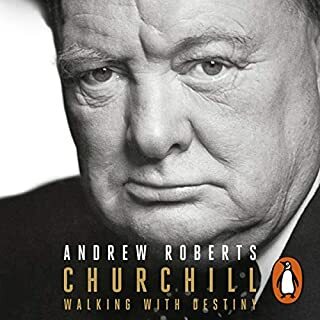 Really, most of the book is about the geopolitics of the early 20th century and the personalities of leading American, British, and German officials, diplomats, and military leaders, and how these shaped history as we know it. The "plot" in a nutshell (and Barbara Tuchman does make this book interesting enough that it reads more like a novel plot moving from one twist to another, rather than the inevitable course of history): in 1917, Britain and the other Allied powers are getting the stuffing beaten out of them by Germany. The European front is hemorrhaging lives. What Britain wants and needs, and what Germany fears, is America entering the war. The only thing keeping Britain alive is her navy, and the German navy thinks they can starve Britain and the rest of the Allies if they commence "unrestricted" submarine warfare: meaning, even neutral ships are fair targets in the war zone. Since this largely means American ships bringing supplies to Britain, letting the U-boats loose means very likely provoking America into declaring war. Then falls into the hands of British codebreakers, who unbeknownst to the Germans have broken their diplomatic code, a telegram from German Foreign Secretary Arthur Zimmerman to the German ambassador in Mexico. Zimmerman tells the ambassador to offer an alliance between Germany and Mexico should the U.S. enter the war (which they expect will happen since the decision has already been made to begin unrestricted submarine warfare). As part of the deal, Germany offers Mexico a great big slice of the American Southwest (basically everything the U.S. had taken from Mexico in various wars and then some), and also urges them to make an alliance with Japan to get Japan to attack the U.S. West Coast. This is obviously political dynamite, and the British figure it's just what they need to push the U.S. into declaring war on Germany. The only problems are (1) how to reveal this in a way that will simultaneously not be dismissed by the Americans as a hoax while not revealing to the Germans that their code has been broken; (2) U.S. President Woodrow Wilson, who has been stubbornly persisting in trying to broker peace and keep the U.S. neutral, even as it becomes increasingly obvious that neither will be possible. As I mentioned, the codebreaking stuff turns out to be a very small piece of the story. I found the characterization of President Wilson much more interesting: at times he seems naive, foolish, stubborn, and understandably his opponents even labeled him cowardly. He was adamantly opposed to entering the war, and was pushing his "peace without victory" plan even after the Germans had all but spit on it. But Tuchman's portrayal does suggest a man who was far from cowardly, and not a fool either. He genuinely wanted peace, and genuinely grieved when his orders resulted in the deaths of American servicemembers. (One might wish some of our more recent Presidents had such a personal investment in the consequences of their orders...) But he was also stubborn and prone to not listening to news and opinions he didn't like. The other interesting part of the story is just how differently the U.S. was situated then as opposed to now. We Americans tend to think that the U.S. has been a "world power" pretty much since its founding, but really, in 1917, the U.S. was big and had a lot of industrial capacity and manpower, but had yet to really be tested on the world stage. Today we laugh at the idea that Mexico might seriously think they could invade the U.S. and carve off Texas, Arizona, and New Mexico, but it was no joke then, especially if Japan, a growing empire itself, landed troops on the West Coast, which was also a real possibility, or at least the U.S. believed it was. World War I was when America had to actually prove itself and get bloodied. The other powers wanted America's strength on their side and feared America's strength turned against them, but probably no one had any idea of the global superpower the U.S. would become. An interesting history full of diplomatic maneuverings and historical context that reminds us that everything leading up to World War I, like most wars, was built on things that had been happening for decades before it. A hundred years later, we mostly only remember the outcome. Not as well known as other books by Barbara Tuchman, the Zimmermann Telegram covers an astounding piece of WWI history. The British codebreakers deserve their recognition, but so do the ingenious methods of the British govt to find a way to release the info without compromising the secrecy of the codebreaking. The obstinacy of President Wilson and his insistence on doing things his way comes into sharp focus. In order to conduct diplomatic negotiations, he allowed the Germans to send messages via the State Dept. Against the council of his own officials, Wilson allowed the Germans to send their messages CODED, never dreaming that they would abuse the privilege. When he found out that the Germans were plotting against the U.S. simultaneously, his anger against them was intractable. The plan sounded crazy: worried that the newly implemented policy of unrestricted u boat warfare might bring the U.S. into the war, the Germans decided to negotiate with Mexico (and Japan) to attack the U.S. in exchange for Texas, Arizona, and New Mexico. When the contents of the telegram were released, there was some debate as to whether it was genuine. Instead of denying it and possibly delaying U.S. action with the concern it was a fake, foreign secreatry Zimmermann, the author of the telegram, confirmed its veracity with the justification that it was a proposal in case the U.S. declared war. It is a fascinating story from start to end. The intrigue of how the US ended up in WWI, despite Wilson's isolationist stance. Found it entertaining as well, read like spy fiction. 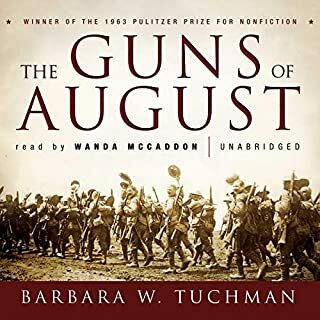 Tuchman is one of my favourite history authors and I particularly enjoyed her other WW I book 'the Guns of August'. This book is slightly further down in time, when in 1917 Woodrow Wilson's US is extremely restraint in its actions and still striving for a diplomatic solution to the great war. As is usual for Tuchman, she not only outlines the events as they occured (read Wikipedia, and you know them), but she mainly describes the main characters in all their marvelous and sometimes hilarious detail with all their adventures, misunderstandings, hubris and courage.What to think about the german 'Lawrence of Arabia' being chased all over Iraq, or the english spy general. 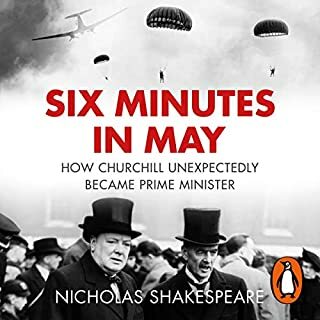 But also the main political figures: the Kaiser, the president, the PM and the Mexican president or his adversaries do not escape Tuchman's sharp pen. One of the good things about this book is its relative brevity. 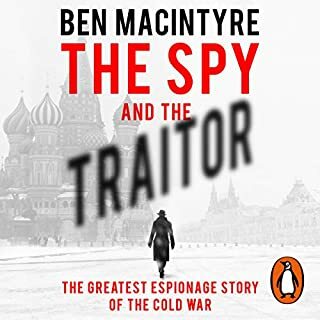 It outlines how the British got into the position to get their hands on the poisonous Telegram, and all the mechanisations of the Germans to keep the Americans otherwise occupied which finally led to the sending of the Telegram by Zimmermann in the first place. But it does not delve too deep in the state of the war, as 'Guns' did but which would lead to a longer and less focused book. 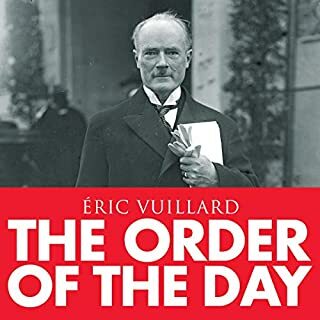 Thus, if you want to know more about a critical moment in the First World War, read this book. And enjoy not only your increased knowledge, but mostly how real history can be so much more entertaining (100 years in retrospect, without the hurt) than a fictional novel. 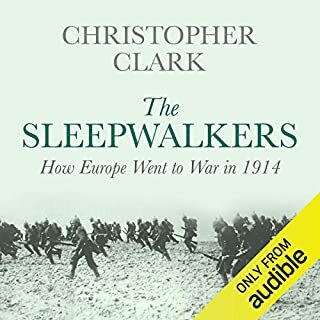 Interesting, informative account of the events and circumstances leading to US decision to enter WWI. The reading was well done at a comfortable pace. I had difficulty with keeping track of all the characters (German, English, American, etc). I suspect that I need to see the names on the page to better remember their role in the story, but this did not distract from understanding and appreciating the story. In format 3, this was very difficult to listen to. 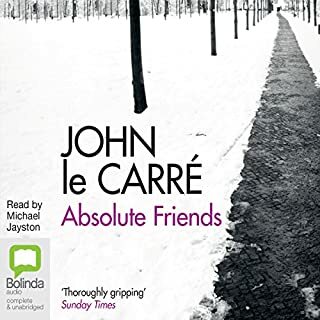 I had to increase volume well over that used for playing other books I have downloaded from Audible, and even at that volume words were sometimes unintelligible. 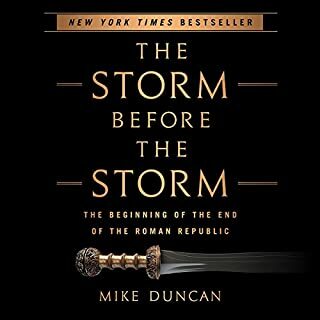 An outstanding history of a key event leading to US participation in World War 1. What you would expect from a thoroughly researched Barbara Tuchman book. Solid on facts and read in a most interesting way. Once you plug in you don't want to stop until you have heard the whole book. While it is written well, the performance of the British reader was too mundane for me. I often found my mind wondering from not being fully engaged. Personal preference really.